This is one of the main reasons people use TC vaping. It basically kills dry hits. Providing you have set up the tank correctly, with TC vaping you should never experience a dry hit ever again. Why? Simple: because the maximum temperature is pre-set, the coil cannot be burnt out, as it will always operate within its performance curve. You set the temperature based on the coil’s rating; if it’s 500-600ºF, you can run it anywhere within this region and you’ll never burn it out. This makes TC modes a great option for new vapers that are worried about burning their coils out too quickly. Just make sure you prime the coils properly! In wattage mode, or when you’re using a mech mod, it is all too easy to put needless strain on your vape batteries. And doing this for prolonged periods of time can and will cause problems – and some are pretty scary. Because TC vaping limits the output of the batteries to a pre-defined setting, the batteries are never taxed too much, and this means they perform better for longer (and in a much safer manner). Because of the limited nature of power delivery, TC vaping will net you almost double the battery life from your vape mod. That’s right: double the battery life versus standard, wattage vaping. Another BIG benefit is how TC vaping effects your coils. Once again, because it isn’t pushing them too hard, the load they experience on a day to day basis is much less and this means they last a lot longer. You still get mega clouds and decent, precise flavor just without overloading the coils with too much power. In this respect, TC vaping is a great option for anyone that runs sub ohm tanks and is constantly annoyed by the coils burning out too quickly. You ALWAYS know what you’re getting when vaping in TC mode. You set the temperature, and you vape. Simple. All the mod does it cycle up towards the maximum temperature and then tops out there. That’s it. It’s nothing fancy, but the effect means you get a consistent vape every time that is packed full of flavor but it never overloads the batteries or the coil. You can also adjust the temperature too as well. If you want a slightly bigger hit, just up the temperature slightly. Want less? Knock it down. In this respect, it works just like wattage mode, only it’s a lot safer and easier to manage. Temperature Control is a suite of settings that most mods feature. Within this feature, you can set power outputs based on temperature rather than wattage or voltage. 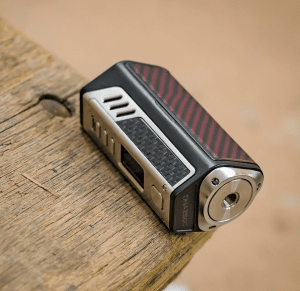 Example: rather than setting the mod to output at 60W, you would set it to output at a maximum of 450ºF and when you hit the fire key, the atomizer will only go up to a maximum of 450ºF. Most TC vape mods support temperature settings from 300ºF to 600ºF, so finding you sweet spot takes some experimentation. But once you know where your best vape experience is at, you can lock it in and the coil and power will never exceed it. The TC suite inside the mod regulates everything, so all you have to do is sit back and enjoy vaping. As you might have gathered from reading above, there are many benefits associated with TC vaping. The first TC mod was produced following the release of EVOLV’s first DNA chipset, which allowed for full temperature control vaping. Since then, everybody else has adopted the technology but DNA-powered mods are still considered to be the best in the business, thanks to the mod’s 97% accuracy when outputting power. It’s Way More Efficient – if you’re using a single cell mod, or a small mod with a non-removable battery, you will get way more battery life. It Works With RDAs Too – if you’re using an RDA, TC vaping is still an option. And it works just the same, providing you’re using the correct wire. TC vaping will extend the life of your coil and wick. 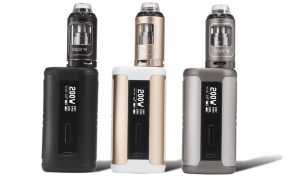 Battery Safety – Vape cell technology has improved a lot of the past few years, but most 18650s are not designed for vape mods. Sony just confirmed this. For this reason, treating them with respect is very important. And it doesn’t really get any more respectful than TC vaping. Whenever you TC vape, you NEED to ensure that you’re using a coil or wire that is designed for temperature control vaping. This is VERY important. Why? Simple: standard, wattage-centric wire (Kanthal and Nichrome) is NOT designed for TC vaping. Most vape mods will do TC vaping, but not all vapes mods are great at it. The reason? Most are designed with wattage mode vaping in mind and are actually pretty inferior when it comes to TC vaping. If you want the absolute best experience with TC vaping, you need to go with a mod that runs an EVOLV DNA chipset, as this is basically the company that invented TC vaping (back in 2014). DNA mods are insanely accurate, around 97%, making them the optimum choice for vapers that want to do temperature control vaping. They are expensive, but they are 100% worth it, as nothing else comes even remotely close with respect to TC performance. If you can’t stretch to $200 for a YiHi or DNA mod, you do have options. Right now my personal favorite is the Aspire Speeder ($76.95), which is a brilliant TC vape mod. In fact, it is one of the best TC vape mods on the planet and it is WAY cheaper than a DNA or YiHi mod. So if you want a cheaper option for TC vaping that is still very, very good, the Aspire Speeder is the one to go for. I haven’t used anything outside the DNA/YiHi camp that comes even remotely close to how good this mod it at temperature control vaping. Interested in finding out what the best mods of the past 12 months are?